Last week, we got to share the work we do with Soil and Water Conservation Districts and their staff from across northern and central Virginia. Emily Bialowas, our CMC coordinator at the Izaak Walton League, was asked to speak along with staff from Virginia’s Dept. of Conservation and Recreation and Dept. 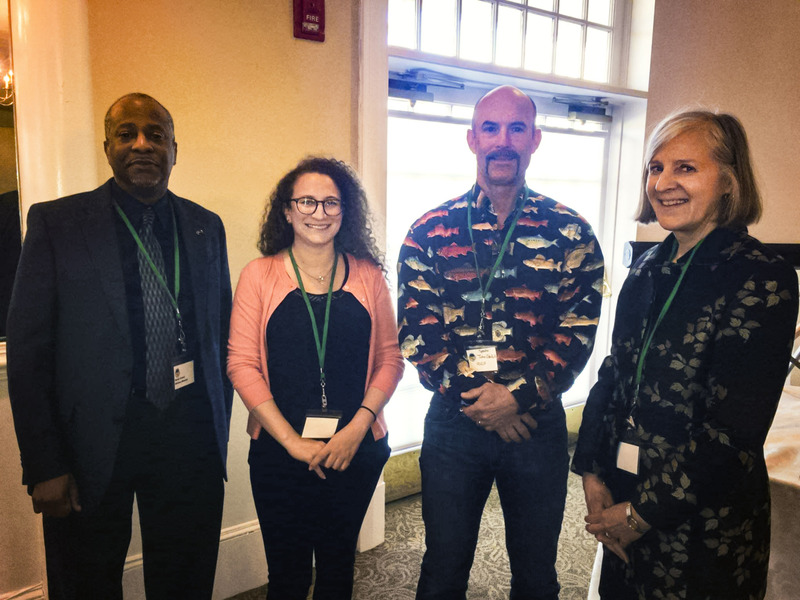 of Game and Inland Fisheries and the Chesapeake Bay Foundation. Each speaker spoke about an aspect of Bay and watershed health, from fisheries trends and water quality, to the Watershed Improvement Plans being implemented to protect Bay health. Emily spoke about the water quality data being collected around the watershed and in Virginia, and how CMC data is being used. It was great to hear from this audience that they were interested in accessing the data and finding out how to contribute data to the CMC, and making sure that groups they knew monitoring were connected with the CMC.